Made just for Sundance, this throw celebrates a dozen years of collaboration between us and the master knitters of Bosnia and Herzegonia. In our 25 years, we’ve had the great privilege to work with many wonderful artists and craftspeople. 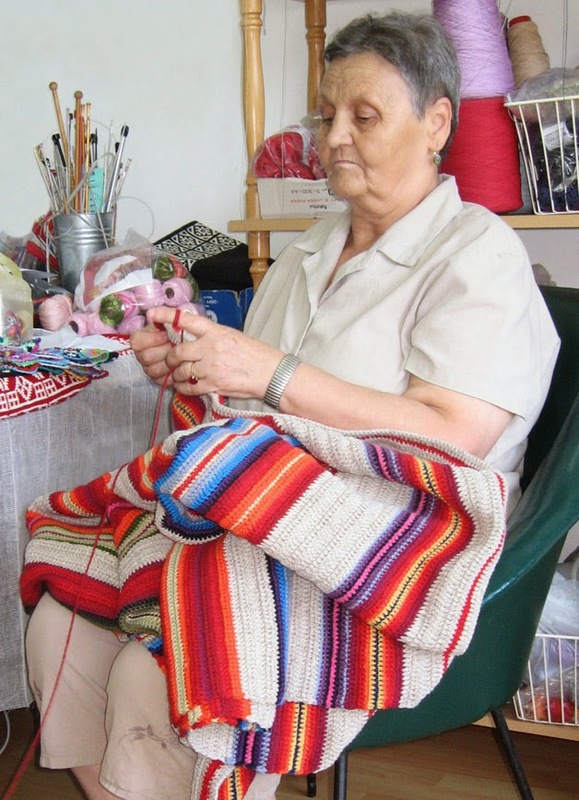 These Bosnian artisan women are one such group. The group was started in 1995 in a refugee settlement near Tuzia as a way to reintegrate women into the community after Bosnia and Herzegovina were devastated by war. Through this effort, women have been empowered to provide for their children and families by using the traditional skills of their cultural heritage – knitting, crocheting and weaving. These women are so proud of the work they produce that each piece bears the name of the woman who created it. Sundance began its relationship with Bosnian artisans in 2002 after we were inspired by the women and their brightly colored hand weavings. We first ordered 200 pairs of slipper socks which were so beautiful and artfully crafted that they quickly sold out. The slipper socks were soon followed by blankets, baby socks and hats. Our Sundance family embraced the exceptional work, and in 2004, we asked them to collaborate on Christmas stockings and tree skirts created just for us. These items remain a seasonal favorite today. Our most recent collaboration is the Rainbow Ridge Throw designed especially for the Catalog’s 25th Anniversary. 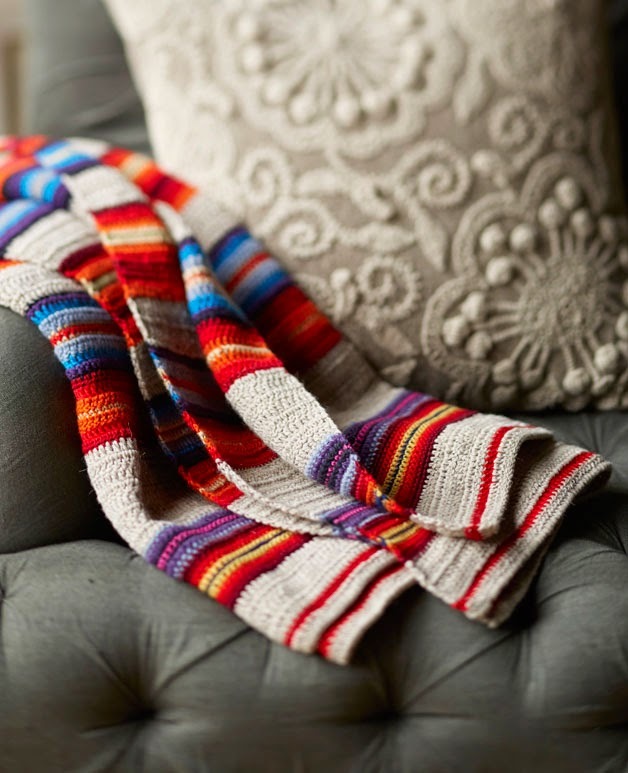 Wanting to capture the traditional stripes and brilliant colors of vintage western serapes, these master knitters have executed a design in warm, cozy wool, adding rich texture to the colorful throw. 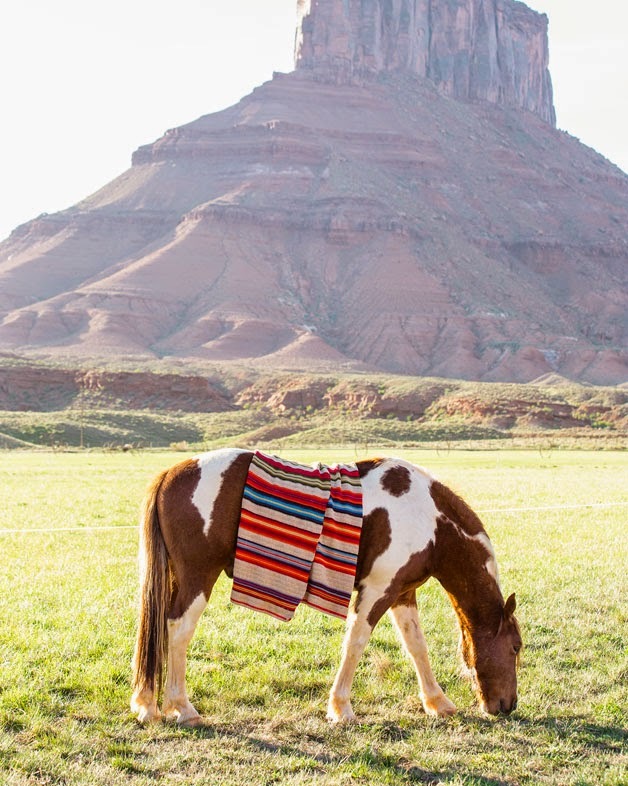 We know it will find a place flung over a sofa, folded at the end of a bed, draped on a table, or even packed along on tailgate or picnic outings. We are so proud of the relationships we have built with these strong, empowered women. And, because of the consistent success of these pieces over the last 12 years, Sundance now provides steady employment to nearly 700 Bosnian women artisans. These women continue to inspire us and keep us in awe, and we know all they create will include the qualities we prize: heart, soul, integrity, originality.